CCHR Newsletter: Overview of Cyp 450, Pharmacogenetics, Psyche Drugs, vaccines. 90% of today’s modern drugs are metabolized by Cytochrome P450. Every person inherits one genetic allele from each parent. Alleles are referred to as “wild type” or “variant,” with wild type occurring most commonly in the general population. Early Childhood Vaccines contain excipients that need Cytochrome P450 to metabolize. This entry was posted in Eugenocide/Population Control, Food & Water, Geo-engineering, Chemtrails & Global Warming, Government experimentation on the public, Pharmacogenetics, Pregnancy and birth and tagged cyp 450, cytochrome P450, Glyphosate, PHARMACOGENETICS on July 7, 2018 by Editor. VLA Comment: It is ubiquitous! Even found in ORGANIC food. This entry was posted in Food & Water, Genetically Engineered Food, Government experimentation on the public, Organic Farming/Organic Food and tagged Glyphosate on May 4, 2017 by Editor. 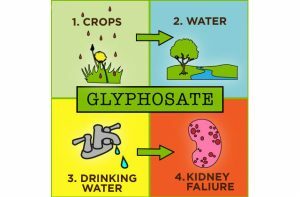 This entry was posted in Genetically Engineered Food, Nanotechnology & Science Lab, Organic Farming/Organic Food and tagged Glyphosate, stephanie on May 1, 2017 by Editor. This entry was posted in Medical information and Research Data, RESEARCH, STUDIES, DOCUMENTATION and tagged Glyphosate, tampons on January 22, 2017 by Editor. EXCERPT: Don: Yes. As I have mentioned previously, this chemical gives the plant, and many of the supporting microorganisms, the equivalent of AIDS. It is a synthetic amino acid that can be incorporated as glycine in the proteins of microbes and plants. This aberrant amino acid can then create chaos. The Shikimate pathway is integral to life on the planet and it is seriously impacted. While it is true that mammals do not have a Shikimate pathway, we all house trillions of beneficial organisms that are dependent on this pathway. VLA COMMENT: MIT senior researcher says that glyphoste plus vaccines are project to increase Autism cases to 1 out of 2 children by 2032. Put “Stephanie Seneff” in our search engine. 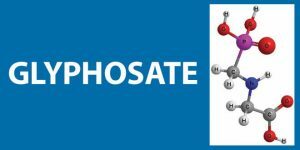 This entry was posted in Diet and Nutrition, Food & Water, Genetically Engineered Food, Medical information and Research Data, RESEARCH, STUDIES, DOCUMENTATION and tagged DON HUBER, Glyphosate on December 9, 2016 by Editor. The vast majority of the corn and soybeans grown in the United States are now genetically engineered. Foods produced from GM crops have become ubiquitous. And unlike regulatory bodies in 64 other countries, the Food and Drug Administration (FDA) does not require labeling of GM foods. This entry was posted in Doctors Speak Out, Eugenocide/Population Control, Genetically Engineered Food, Government experimentation on the public, Pregnancy and birth, RESEARCH, STUDIES, DOCUMENTATION and tagged Glyphosate, NEJM on May 12, 2016 by Editor.